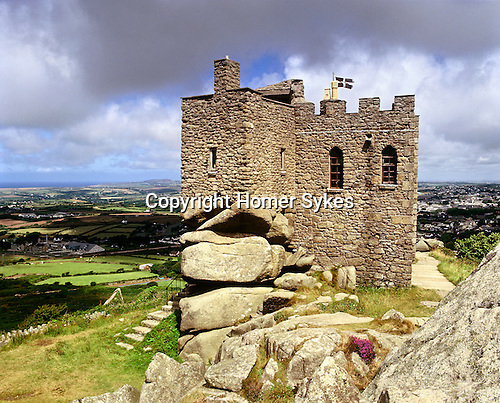 Carn Brae, Redruth, Cornwall, England. Celtic Britain published by Orion. Carn Brae prehistoric site covers 46 acres where over two hundred people lived before their community was attacked and burnt down. The castle is medieval abnd was probably built by the Basset family and used as a chapel.